Rave of the moment popularly known as “Latmus baba” is an energetic talented Afro-Pop singer. Latmus is known for his strong powerful vocal ability. 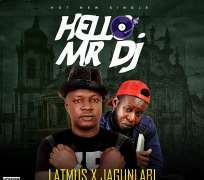 Hello mr DJ is a great Rocky tune for this talented act “Latmus” which is produced and mixed by ObinaBeat, a fast rising Music Producer.